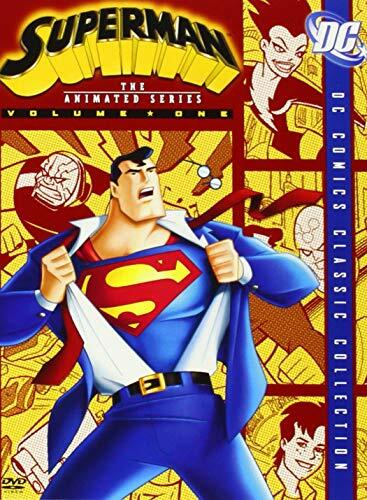 Superman the Animated Series (Volume One) - BUY THIS DVD! - OWN IT JAN. 18! Following the lead of the retooled BATMAN cartoons, the legendary Man of Steel gets his own modernized update in SUPERMAN THE ANIMATED SERIES. Operating under the auspices of meek, bespectacled alter ego Clark Kent, Superman continues to champion truth and justice while battling criminal entities in the bustling city of Metropolis. Airing from 1996-2000, this animated series is acclaimed for remaining true to the original SUPERMAN comic books while introducing new and exciting storylines and characters. This first volume includes 18 action-packed episodes. THEN SEND IN YOUR NAME AND ADDRESS TO contests@efilmcritic.com. Put "IN HONOR OF CHRISTOPHER REEVE" in the subject line and cross your fingers. We will draw names and one of the DVDs from WB will be yours. Only 1 entry per household.